Primary care doctors are physicians that “meet the patient first” – in other words, this is the doctor you go to if something’s wrong with your health. Primary care doctors understand your medical history and will make referrals to specialists and other doctors as needed. FastMed medical clinics help to increase the availability of primary care doctors in the community. The more convenient quality medical care is, the easier it is for busy families to prioritize their health. Primary care doctors must be able to diagnose and treat common conditions. At FastMed we treat thousands of patients suffering from allergies, strep throat, bronchitis and urinary tract infections. Our primary care doctors are good listeners and understand your medical history. FastMed primary care doctors are family doctors – medical professionals who make your children vaccinations are up to date and help your father with his high blood pressure. 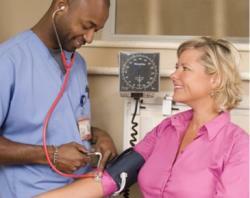 In addition to regular checkups, we conduct physicals for work, sports and school. Our medical clinics have digital X-ray equipment and in-house labs so that you don’t have to wait for your test results. Should your attending FastMed medical professional decide that you need advanced testing or the care of a specialist, we can save you time and expense. FastMed will call ahead and set up the appointment and forward your electronic medical records and digital x-rays.